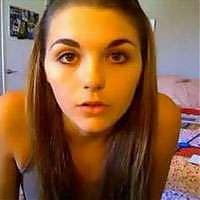 Lonelygirl15 :: View topic - Is "Cassie" the name her real parents gave her? Is "Cassie" the name her real parents gave her? Posted: Sun Jan 07, 2007 7:45 pm Post subject: Is "Cassie" the name her real parents gave her? There have been theories that "Cassie" is Bree's alter ego. What if "Cassie" is indeed her alter ego and is also the name given to her by her real parents? Are you saying that "Bree" is a nickname that she gave herself...or that her parents gave herself? I not sure if that's the case, Daniel's had conversation with Bree's Dad, I'm sure that if Daniel had said, "Can I take Bree out" to her dad, Bree's dad would've been like, "Who's Bree?" If Bree's real name is Cassie. What I am trying to say is that "Cassie" is her real name, given to her by her real parents. The parents she was raised by gave her the name "Bree". There is a theory that "Cassie" is Bree's other personality. The Cassie side was repressed by the parents that adopted/abducted her. Maybe...she has flashbacks of being with her real family...and hears them calling out "cassie"....so she creates this alternate persona of being "cassie".. This is totally plausible, and I can't believe this theory didn't come up sooner! I'm only afraid of what I haven't imagined. So, your saying, Bree's real parents named her Cassie, but her fake parents named her Bree? What Im curious about is, Was Bree's real parents part of the cult and got killed like her dad? Or, they werent in the cult? I'm giving myself away as a seventeen-year-old with a history of reading bad Caroline B. Cooney books here... but that's sort of what happened in Face on the Milk Carton! ALL of you are wrong. Her REAL name in REAL life is Jessica Rose! THAT is bree's REAL name! By the way, nice avatar! LOVE the guy with blue eyes!